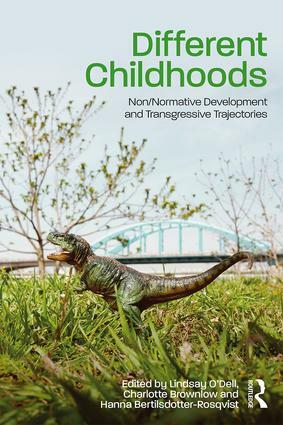 Different Childhoods: Non/Normative Development and Transgressive Trajectories opens up new avenues for exploring children’s development as contextual, provisional and locally produced, rather than a unitary, universal and consistent process. This edited collection frames a critical exploration of the trajectory against which children are seen to be ‘different’ within three key themes: deconstructing ‘developmental tasks’, locating development and the limits of childhood. Examining the particular kinds of ‘transgressive’ development, contributors discuss instances of ‘difference’ including migration, work, assumptions of vulnerability, trans childhoods, friendships and involvement in crime. Including both empirical and theoretical discussions, the book builds on existing debates as part of the interrogation of ‘different childhoods’. This book provides essential reading for students wishing to explore notions of development while also being of interest to both academics and practitioners working across a broad area of disciplines such as developmental psychology, sociology, childhood studies and critical criminology. Lindsay O´Dell is a Senior Lecturer in the Faculty of Health and Social Care at the Open University, UK. Her research interests focus on children, young people and families who are in some way ‘different’, including neurological difference, working children, young carers and language brokers. Charlotte Brownlow is an Associate Professor in the School of Psychology and Counselling at the University of Southern Queensland, Australia. Her research interests focus on understandings of diversity and difference and the impacts that these have on the crafting of individual identities, particularly for individuals identifying as being on the autism spectrum. Hanna Bertilsdotter-Rosqvist is an Associate Professor in Sociology. She holds a position as Senior Lecturer at the Department of Social Work, Umeå University, Sweden. Her research interests include autism politics and identity constructions among adults with autism. Other areas of interest are homonormativity, representations of bisexuality and intersecting notions of age, space and sexuality.